In Te Reo this term we are revisiting our Pepeha learning from last term. This week Mrs G snuck some of us out into the resource room next to our class to create a class Pepeha movie. This was so we could revisit what we have been doing whenever we need to. This is what we call rewindable learning. We loved going out in small groups to create this movie. We used do-ink on the iPads, and when we stood infront of the green fabric the background looked different on our iPad. It made our movie look much more interesting. We also decided that instead of just putting up a class Pepeha that we would have the question followed by the answer in Te Reo so we could not only practice the different parts of our Pepeha but we could also learn about asking and answering a question. Enjoy our first movie on this topic, and if you have any ideas of other rewindable learning movies you would like to see on our blog make sure you comment so we can look into creating these. Thank you for sharing the fantastic movie you have created. 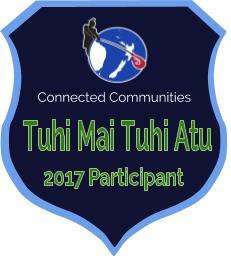 A great opportunity for rewindable learning and learning te reo Māori too. It was a great idea to use green screening. I like the background you have chosen. It is awesome to see all the kids learning their histories, and practising their te reo. It is cool to find out where everyone is from. well done. This is a great example of rewindable learning. Thank you for sharing this with us. You have some very clever learners in your space.